The first thing I noticed about The Party Wall, even before reading the first page, was the story/character sequence; ABACADABACADA. Intriguing, right? Then, after about four stories into it, I had no idea where any of it was going (a good thing). Even more enticing are the little clues giving us hints as to when each of the stories take place in relation to each other; essential later for making connections between the stories. Clues about the time aren’t the only ones being dropped by the author; as you get further along into the book, bits of information help you begin to make the connections between the characters. The connections aren’t huge and mind-boggling; they’re small and almost meaningless in the grand scheme of things. But, this just serves to make them more powerful. The revelations made by the characters throughout the book, however, are life-changing for them. There are moments nothing can prepare you for. Such as fainting on shaking hands with a stranger. Or reading your mother’s name for the first time. You don’t know what to do, how to behave. You forget how to breathe, blink your eyes, swallow the stones building up in your mouth. She can’t find the words to tell him that is not how life works, to explain to her still very young son that the world is not a vast pair of scales where bad actions offset each other, where misdeeds are consistently sanctioned. The world is an unjust place where the good go bad from never being rewarded, where the truly wicked are very rarely punished and where most folk zigzag between the two extremes, neither saints nor demons, tacking between heartache and joy, their fingers crossed, knocking on wood. Every person split in two, each with a fault around which good and evil spin. To say more would be to give too much away. This book is more rewarding the less you know about it. Read it. Especially if you are into creative forms of storytelling. (If you like your novels to be straight-forward and linear, this might not be for you.) And, while you are reading it, pay close attention. 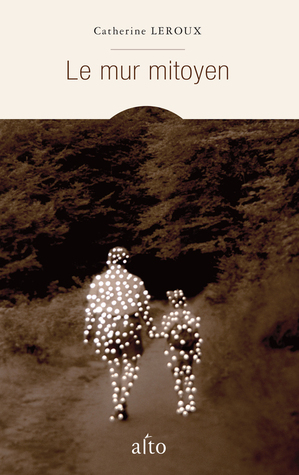 I’m sure there are things I missed along the way; this is a book that begs to be read again. The daffodils blossomed early and she has cut nine of them, one for each year since Micha died. This is the first time she’s thought fit to pick such cheerful flowers. Before, she would bring lilies and tulips. In their black hearts, tulips understand the gravity of grief, and the lilies’ heady fragrance speaks the language of the dead. The daffodils, with their double petals, their frills and sparkling colours say something quite different: “I no longer mourn for you,” and Madeleine confirms this out loud as she straddles the small springtime brook that splits the property in two. The truth is she stopped mourning years ago. But she has never dared to declare it to him so clearly. The cameras are broadcasting real-time shots of the house, their house, with the blue paint that appears to be taking flight in the chilly air, the second-floor shutters, arms spread wide, the yellow bicycle with the flat tire chained to the balustrade, and the swing pushed by the August wind as if a ghost were seated on it. Far away from the major cities, the noise of the new reaches them somewhat blurred; the distance lends an unreal sheen to events. Politics has taken on the shape of a masquerade for them, and human-interest items seem like sordid tales drawn from mythology… As far as the planet’s decline is concerned, they have let go. They are ordinary spectators of a world grown so warped as to beggar belief. When he decided to marry and start a family, Simon never would have believed you could feel so far removed from those to whom you were supposed to be closest. Victims and executioners often coexist in the same person. Those who forgive them are the ones who enable the world to heal. A melody rises in a minor key, the scale that never finds happiness yet does not despair. This is a beautiful book that I would be happy to see on the Giller shortlist this year. Update: The Party Wall made it to the shortlist. Thank you to the friendly folks at Biblioasis who sent me a copy of this book! If you’ve already read the book (or after you read it), and you want to listen to a discussion of the book, visit Write Reads with Tania and Kirt. 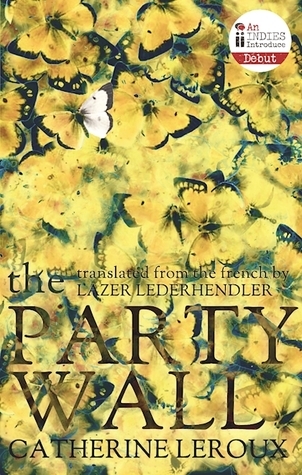 In this review and interview, Montreal Gazette calls Catherine Leroux’s The Party Wall “a revelation”. I hadn’t heard of this book before I saw it on the “Crazy for CanLit” list last month and I’m glad to read your review. It sounds fascinating; one not to miss, for sure. Could we go so far as to call it a hidden gem? Until making it onto the Giller longlist (which is a good thing!). I’m so glad it did, and I hope more people take the time to pick it up! Particularly like the sound of The Party Wall. Is the title significant, given the duality theme? Yes, Catherine Leroux says that her characters are all dealing with a wall like a ‘party wall’- one that is both shared and dividing. That first passage was so beautiful I might just have to go pick it up! There are so many equally beautiful passages – it was hard to pare it down. I’m glad you find it enticing! I like this newish phenomenon of connected stories. Short stories always seem too short to me. I want more! This is a good way to achieve that. Yes, I agree. And, when done well like this, it almost feels like a puzzle. I found it suspenseful knowing that at some point there were going to be connections between the stories. Congrats on being part of the Shadow Giller Team! I love that observation about tulips. I’ve always loved how the black center is kind of hidden by the other colors. I’m glad that your shadow work is off to such a good start! I love that whole passage about flowers – and I think it shows how thoughtful her writing is. I hope they are all this good! This sounds excellent—I love the passages you quoted. This one—“to explain to her still very young son that the world is not a vast pair of scales where bad actions offset each other, where misdeeds are consistently sanctioned”—really stood out to me, especially this year. I’m intrigued, Naomi… it sounds rather fab. It seems to be available in the UK as a Kindle edition now, so if it makes the shortlist I won’t have to panic about how I’m going to get my hands on a copy in good time! I’m now dying to know what’s going to be on the shortlist. It’s even more fun when you have a reason to want to know! I think you’d like this one, shortlisted or not. But if not shortlisted, then I know time becomes an issue. Oh now I’m questioning my Giller choices! Though I’m enjoying The Best Kinds of People. How are you liking TBKOP? That one might be next for me – depends on which book gets here first. It’s good. Juicy and believable. This is quite the tantalizing review. I do love a good short story collection! It looks like you’re finding some great reads for your Giller prize project. I hope they’re all excellent and worth your time. Keep them coming. They’d better be if they want to win such a huge honor! I was curious to begin with, but you’ve given me a good push in the direction of this book. It might well be my “travelling book” tomorrow morning. I can’t wait to read about what you’re not talking about! I brought it that day but didn’t finish the other book I’d brought with me (some days I manage more pages than others). However, I bought a copy today at WoTS, so I’m all set now: no more library duedate to obsess about (in that case)! Im not clear on whether this is a series of short stories linked thematically etc or a consolidated narrative? A series of short stories linked thematically AND linked through characters and circumstances. So well-done!